Every vehicle needs maintenance like changing the oil and the Toyota Tundra pickup is no exception. Is your oil ready to be changed? Here is how you do it. Changing the oil in your Toyota Tundra is pretty straightforward. Follow these steps to do it. In order to change the oil, you will need a place to perform the maintenance as well as a set of tools. Plus, you will need to have a plan to collect the oil as well as the new oil and filter on hand. Look for a skid plate below your truck, if you have one take it off. If you don’t your in luck, that is one step you can skip. Next look for the oil filter (it probably has a white cap covering it). Also find the oil drain plug. Loosen the drain oil plug and drain the old oil. 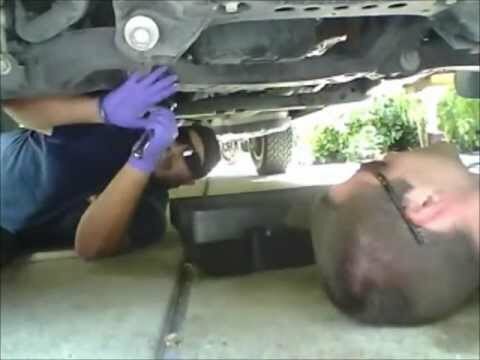 After all the oil is drained, replace the drain oil plug. Next, loosen the oil filter drain plug. And remove the oil filter. Replace the oil filter with a new one. Add oil to the engine and look for leaks. After filling the engine with oil, start it up and let it run. After a minute or two, check the oil level with the dipstick. Congrats you have changed the oil in a Toyota Tundra pickup.